The Black Rose-Fold Bevelled Foundation / Contour Brush by Blank Canvas is amazing for applying your foundation, concealer, blush or contour products. 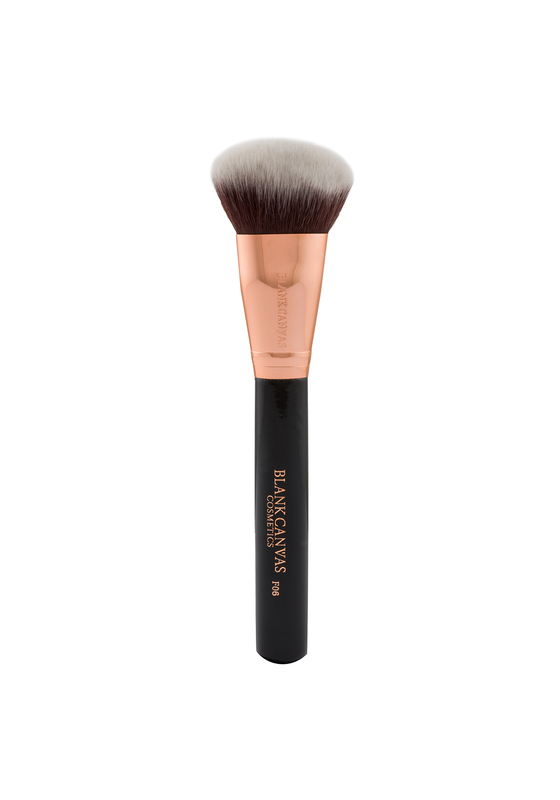 The Black Rose-Fold Bevelled Foundation / Contour Brush by Blank Canvas is amazing for applying your foundation, concealer, blush or contour products. This Brush is perfect for different make up applications and with its soft bevelled shape is ideal for working with the contours of your face. This brush is designed to work with cream, powder and gel products.